Sales compensation plans can be powerful motivators that spur sales reps to become top performers and attract top talent. But they can also be difficult to design. A wide range of operational considerations can come into play. Tip #1 – Keep sales compensation plans simple. The easier a compensation plan is to understand, the less time your salespeople will spend poring over commission statements and attempting to decipher ambiguous terms. It also means less time spent seeking clarification from sales managers or asking questions of your finance team. Keep in mind, complexity creates mistrust, as does underlying cynicism. Complicated sales compensation plans will likely put an unnecessary burden on both the Finance and Human Resources departments. Ultimately, numbers that are easy to understand upfront — and easy to report to employees down the road – will save you from disputes that require time and resolution. Tip #2 – Round out the math. Let’s say you determine that the mathematically optimal payout is 9.5%. In such a case, the plan payout should be 10%. This boils down to a simple, but effective best practice: when structuring compensation plans, it’s best to use a number that ends in a zero – and if not a zero, then a five. By employing this rule, salespeople and executive management can very easily translate the commission benefits of revenue, as well as the post commission revenue contribution to gross profit. Tip #3 – Consider quarterly payout frequency. Anyone who has worked in sales knows that emotional highs and lows are par for the course. While top performers are typically well compensated, most salespeople have at least a day or two during each month when burnout sets in and they begin to question their jobs. Reducing all or part of your payout to quarterly intervals is a good way to balance out the ups and downs of temporary job dissatisfaction. In some cases where there is a quarterly payout, there will be compensation that’s left “on the table” for those who leave before commissions are considered “earned.” Some of this amount can be used toward further improvement of an overall comp plan — or simply as an add-back to company profit. It streamlines compensation calculations and administrative time demands. 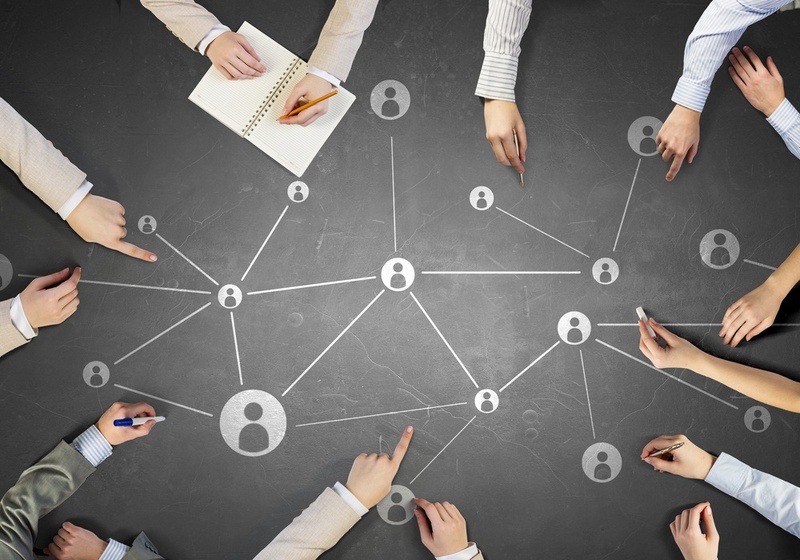 Quarterly payouts free up time spent on internal processes. More specifically, this strategy allows you to cut your calculation and disbursement frequency from 12x (at a monthly frequency) to 4x annually (a quarterly frequency). Additionally, a large percentage of commission-related questions (both email questions and phone calls) will be in regards to timing differences related to the end and beginning of the month. Adopting a reduced payout frequency can eliminate up to two-thirds of these often-unpleasant and stressful exchanges. Plus, quarterly payouts will also minimize the need for clawback situations, as most accounting issues or customer satisfaction issues can be addressed prior to commission calculation and payout. Clawbacks create negative experiences for employees that can easily be avoided with the right compensation plan. Not only that, but you’ll be freeing up your sales team and administration to focus on higher-value job tasks. Looking for help with designing a sales compensation plan? Designing a successful sales incentive compensation plan is an important factor of financial planning and analysis that touches many internal processes and staff. Remember, when creating a plan for your organization, it’s important to pay attention to essential best practices such as the three we’ve covered here. Do this upfront, and your company will be well-poised to reap the benefits of a top-performing sales team. Looking for more? 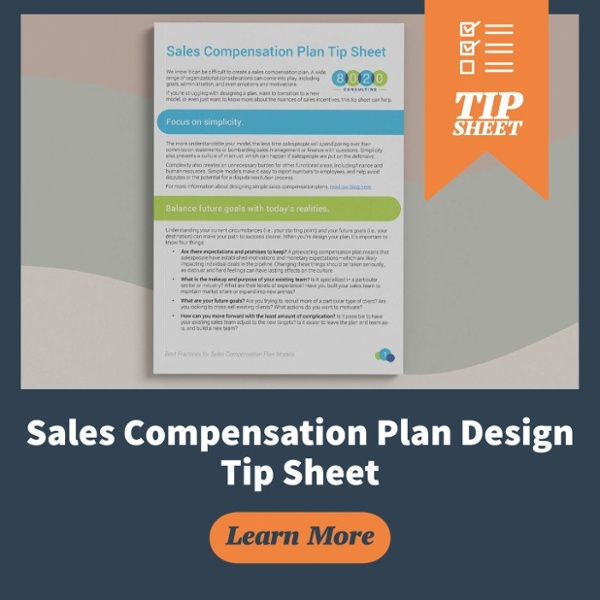 If you’d like to know more about sales compensation plan design, download our free tip sheet by clicking on the button below!